A much improved V2 of my wallet-making obsession is finished and already in use! Really, I think I am most excited about the back side of the wallet. 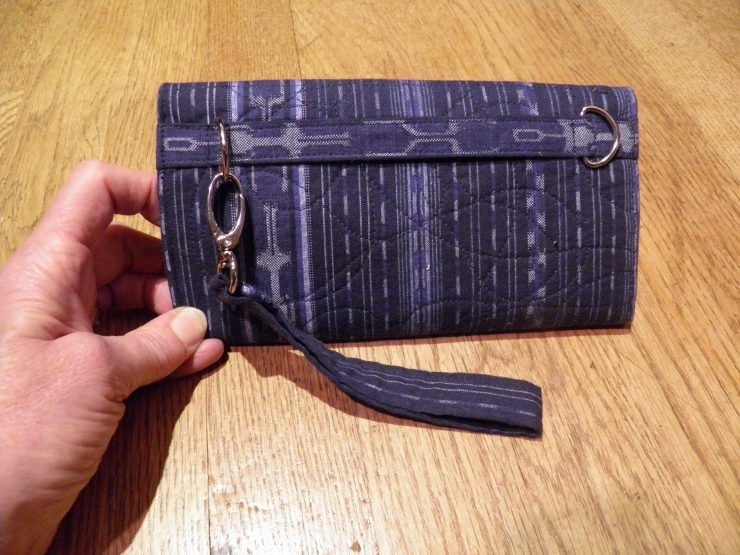 I love how the D-rings look on that little strip of fabric, and they can be used to hook a wristlet as I have done here, or a longer strap could turn it into a cross-body bag. Options are important, right? The inside may not look at much different at first glance, but the feel is very different. 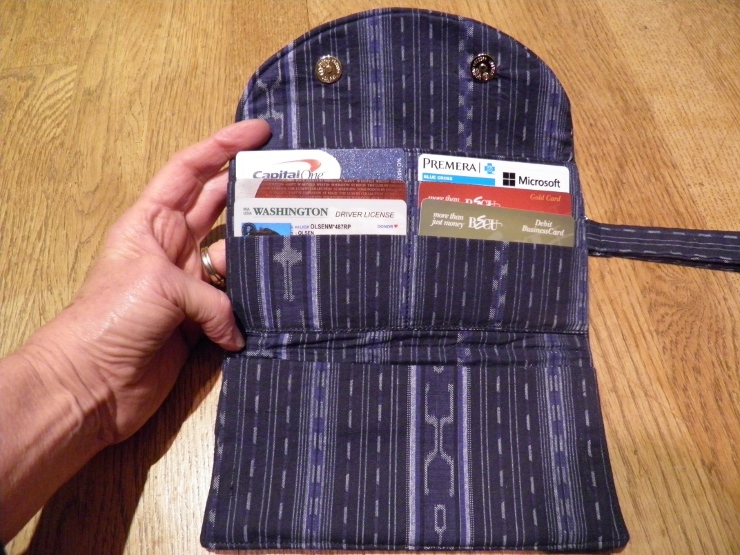 Adding the fusible batting to the back of the wallet and quilting it makes the wallet feel much sturdier and like a higher-quality item. No one wants to make something that feels chintzy, right? 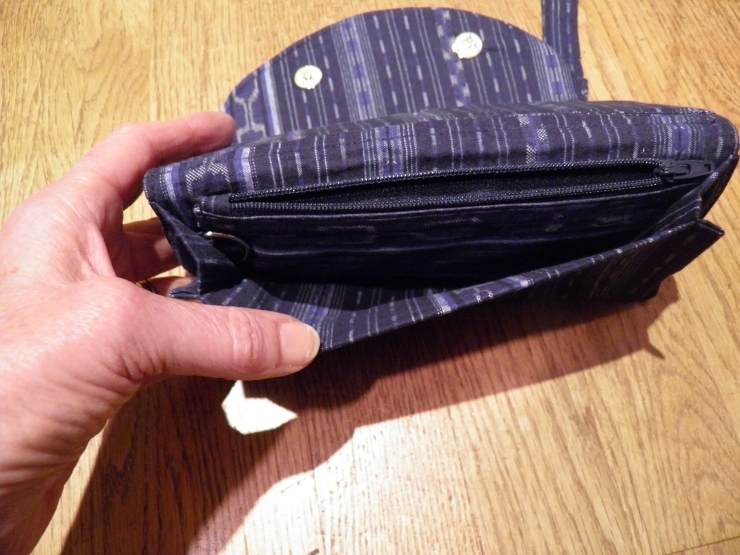 The accordion pocket is the same, but the zipper pocket construction is different and better! I stitched one side of the zipper to the front wallet piece, attached a pocket to the “out” side of the zipper, and then topstitched the pocket piece onto the front wallet piece. Kinda hard to understand theoretically – maybe a wallet tutorial is on order – but trust me, it eliminates bulk and is very functional. I kept the D-ring in the side seam – now I just need to get an extra house key onto it! BTW, my cell phone fits in this pocket perfectly which means this wallet is perfect for quick trips when a purse-ful is not required. Awesome. 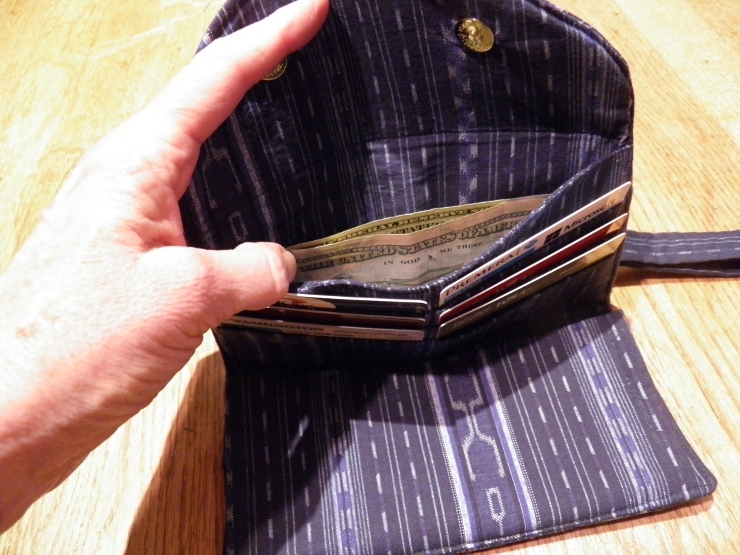 No change to the credit card pockets. They work fine as is, tho maybe could be tightened up a little. Did I show you the pocket behind that works for bills? I still think there are some tweaks that could improve this design even more. I want to try a heavier stiffener inside, or maybe 2 layers of the weight I did use. I think experimenting with this pattern is going to be fun, and I have plenty of gals who have expressed an interest in receiving one of these. As long as they have been good this year Santa just may leave one in their stocking! 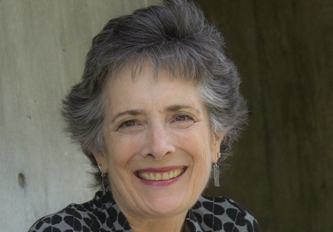 Meet one of my favorite sewing students, Mary Beth. 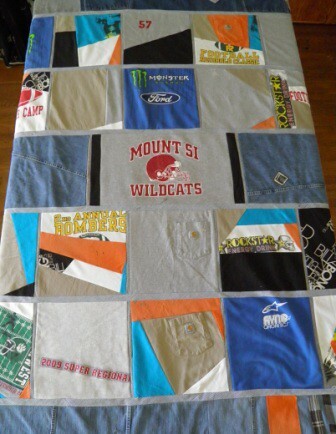 She has been taking sewing lessons for a few weeks, and recently completed a fun (and useful!) apron to ward off a few of the kitchen grease splatters. I like the simple lines of the pattern she selected, Simplicity 2555, and in keeping with her style she chose a classic and feminine color combination. Super cute!! The basic shape and construction process was straightforward. Cut out an elongated rectangle with straight-sided shaping at the top for the armhole and top. Double-fold and stitch down the sides and bottom of the apron. Cut out two packets. Apply trim and attach. Make a re-e-e-a-l-l-y long strap for the neckband and ties. Now here comes the part that was both poorly drafted and not well-explained in the instructions (<insert> rant about frequency of terrible instructions in patterns </end rant>). The pattern had you cut out and apply facings to the armhole (well, not exactly a hole, but the under the arm area). OK so far. But they also instructed you to turn under the raw edge of the facing, and stitch that to the apron front to create a tube for the neckband/ties to pass thru. The combination of the ribbon trim application, and the facing application instructions created multiple stitching lines as well as a very small tolerance to get the strap inserted without bunching, not to mention a lot of fiddling to press under the edges of the facing (<insert second > rant about frequency of terrible instructions in patterns </end second rant>). We decided instead to finish the long edge of the facing with a serged edge finish, and apply the trim prior to stitching the facing in place to create the tube. We also changed the way we applied the trim so that it was in one long, continuous piece. Easier and looked better. 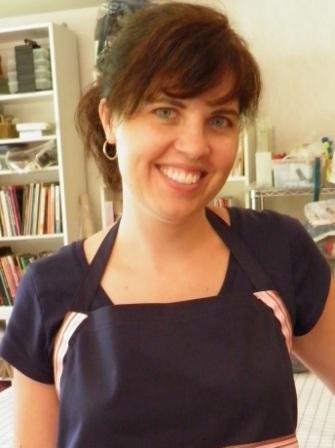 Mary Beth’s apron turned out cute and definitely wearable – good job MB!. REMEMBER: The technical writers for patterns are not gods. Some of them are not even that smart. They write the instructions in a way that is easy for them to describe, and to include simple illustrations. They do not always write the instructions in a manner that is best for you, the sewist, nor in a way that is best for the garment. What should you do about this conundrum? 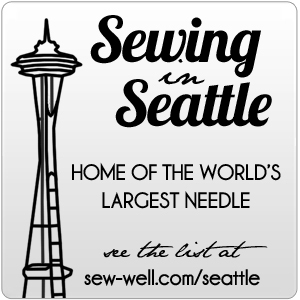 Read lots of books about sewing. Take classes. 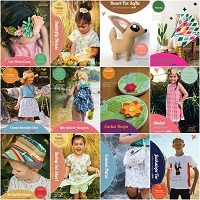 Make lots of different projects from different pattern companies. Think about what you are doing before blithely following along with the printed instructions. It is just some ink on paper – feel free to ignore. As you continue to sew and practice, you will develop your own techniques for doing things, and become more comfortable ignoring the pattern-maker-technical-writer gods.